At the Baccarat Hotel’s Turkish Tea for Two service, the last course is served with their version of Moroccan mint tea in a golden camel teapot. I really liked the tea so I reached out to Gabrielle, the Tea Sommelier at the Baccarat Hotel, to find out how it was made. It’s ridiculously simple to make. You just need the right ingredients. I’ll share with you recipes to make this tea both hot and iced. 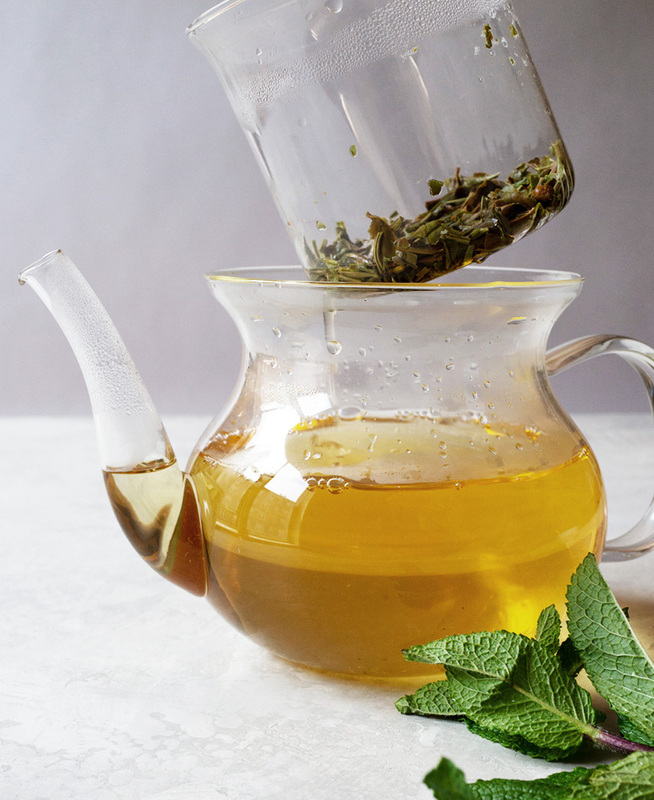 What exactly is Moroccan mint tea? It’s a tea blend of gunpowder green tea and mint. And sugar, lots of it if you prefer. The Baccarat uses a blend called Dunes du Sahara from Camellia Sinensis, a well-known tea shop in Canada. The Dunes du Sahara is an organic green tea with dried mint, the essential ingredients to a Moroccan tea. Now, what they do to take it up a notch is to add a handful of fresh mint to the teapot after the steep. Let me show you to recreate Baccarat’s version of Moroccan mint tea at home. The exact same blend of green tea and mint that the Baccarat uses. A must-have for any tea drinker. One that holds at least 4 cups. I ordered the exact same tea blend that the Baccarat uses, the Dunes du Sahara and measured out 4 teaspoons for the teapot with an infuser. Instead of boiling water on the stovetop, I always use my electric kettle that has a temperature setting when making tea. 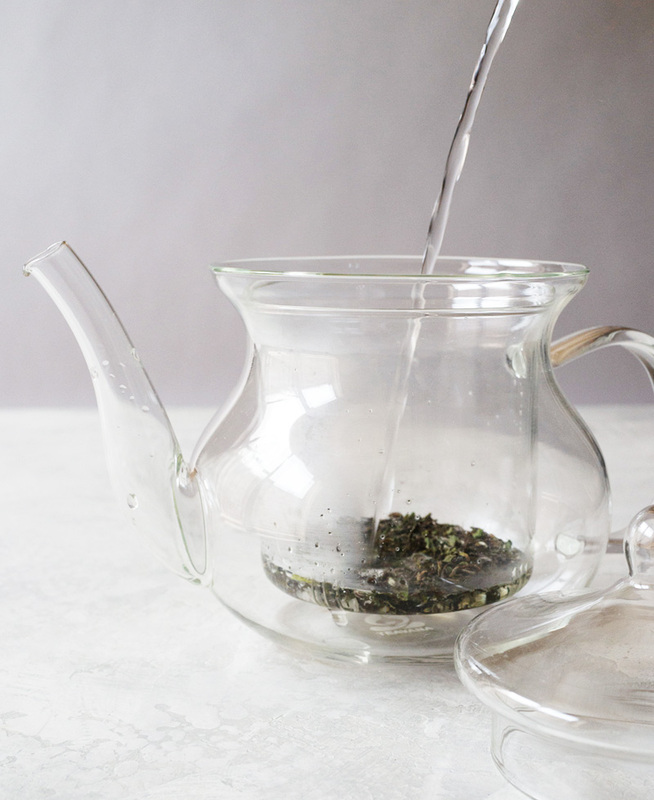 What I like to do is measure out the the amount of water needed and pour that into the electric kettle so there’s no guess work when you try to pour in the hot water from the kettle into the glass teapot. 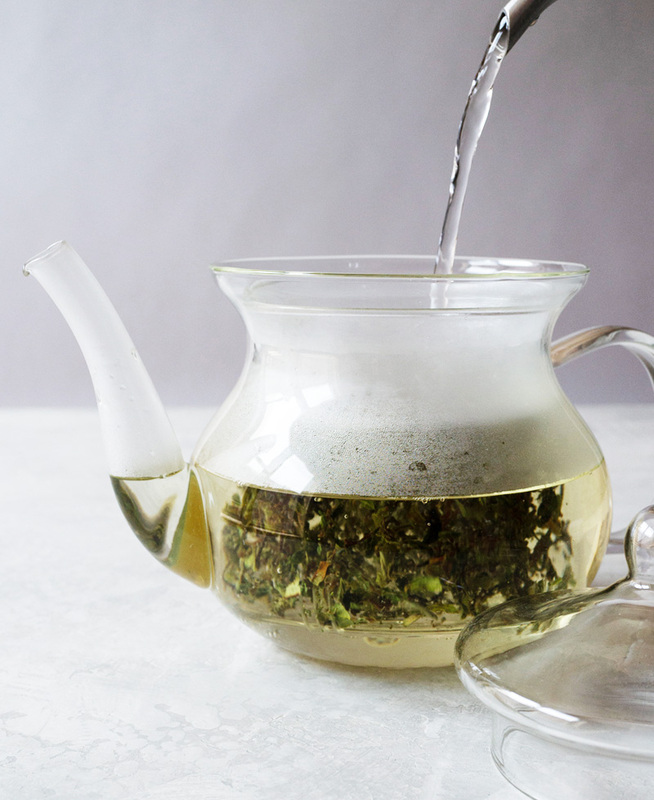 Set the temperature to 203°F and once the water boils, pour it directly into the glass teapot. Following the directions on the tea package, I steeped the tea for 3 minutes. And added in a small handful of mint and let it sit for a couple of minutes. 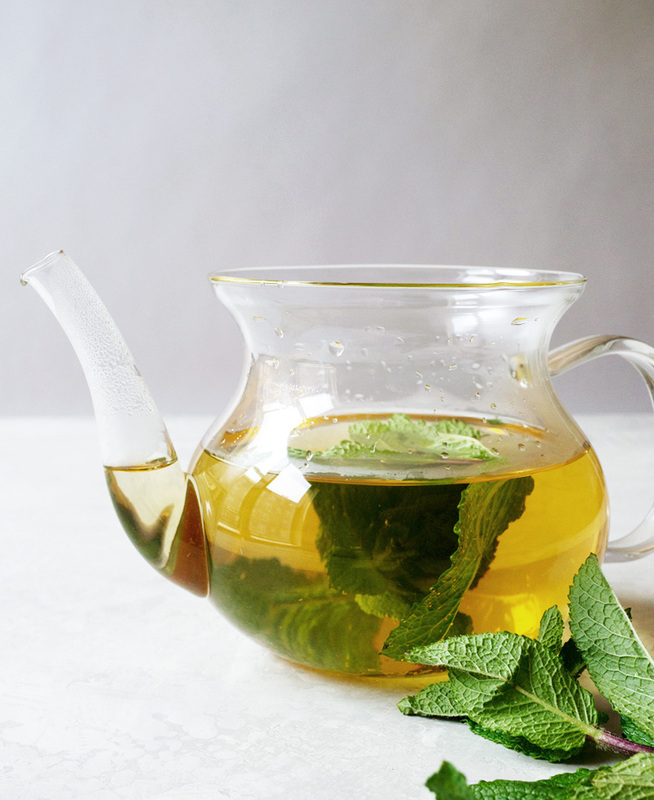 Pour tea into mugs and add in a little sprig of mint. Traditional Moroccan mint tea is sweetened with sugar but the one served at Baccarat Hotel doesn’t have any sugar added. You can add in as much as you would like. I prefer the hot Moroccan mint tea without any sugar, and I definitely like it WITH sugar when having it iced. I recommend that you try it both ways and see what you prefer. 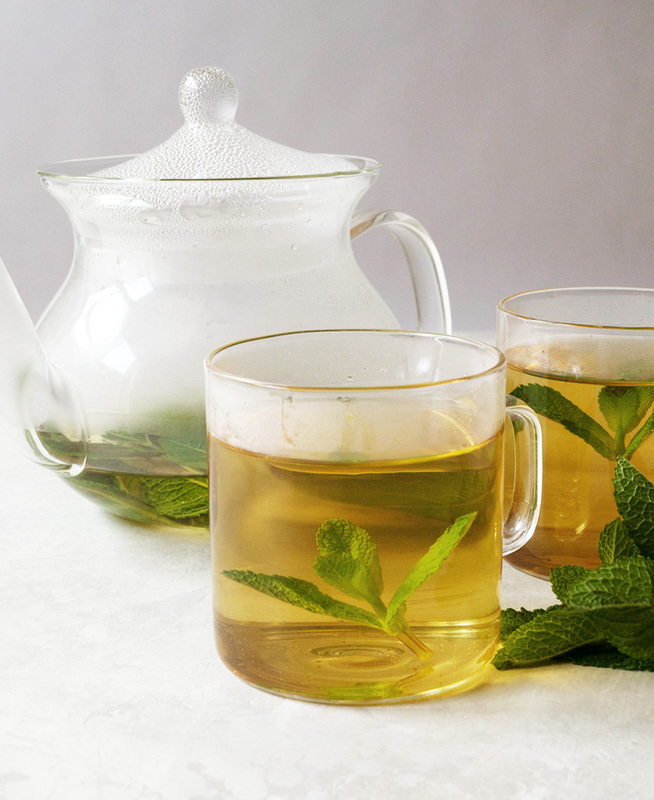 The Baccarat Hotel's Moroccan Mint Tea recipe. Steep 4 teaspoons of tea in hot water for 3-4 minutes. 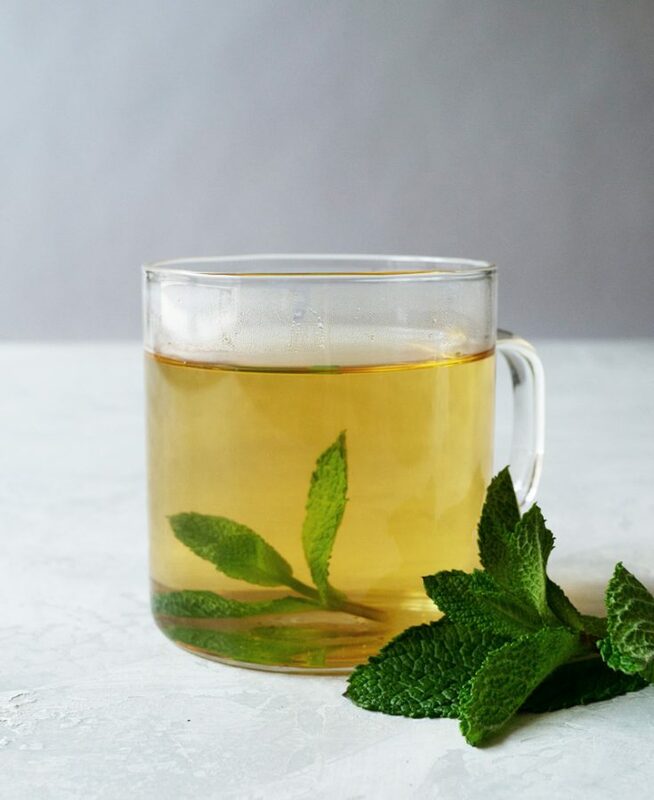 Strain out tea and add in a handful of fresh mint and steep for 2 more minutes. 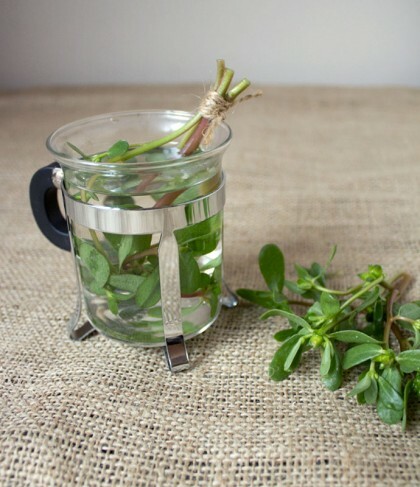 Pour tea into mugs and garnish with a sprig of mint. 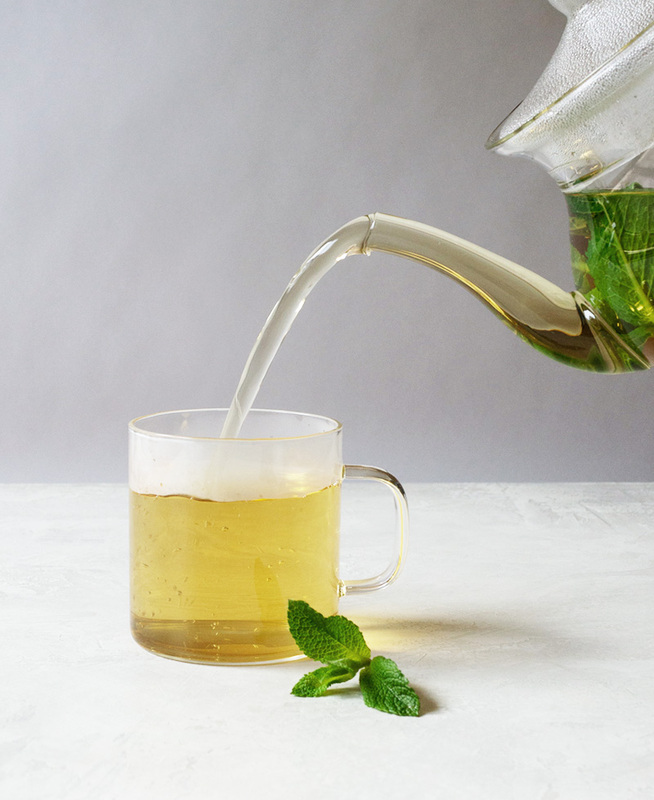 Ok, ready for the iced Moroccan mint tea recipe? I usually like to cold brew my iced tea but for this you can brew it hot then add in ice. When I don’t add any sugar to my iced tea, which is how I prefer it, I like my iced tea cold brewed. 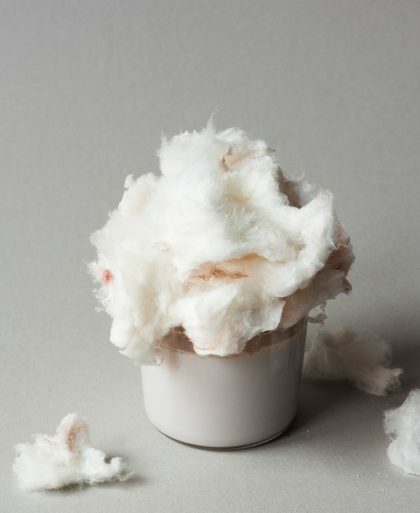 But when there is a need for sugar, it’s not necessary to cold brew it since the sugar will mask any bitterness you would normally get from brewing it hot. 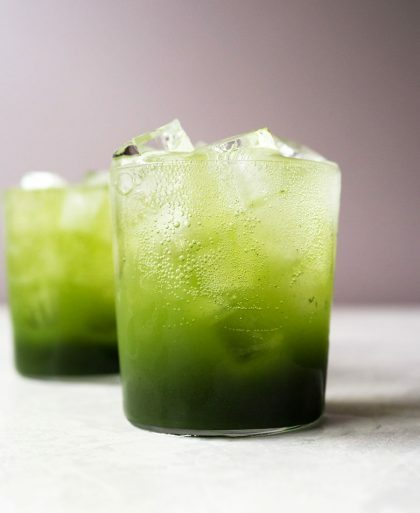 Made special with fresh mint leaves, it's a tasty and refreshing drink. Steep 4 teaspoons of tea in 2 cups of hot water for 3-4 minutes. 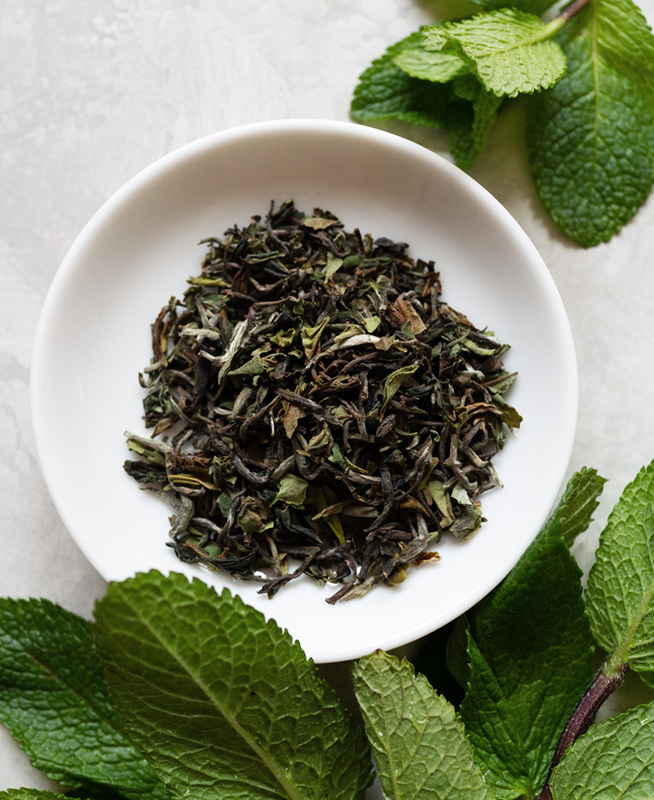 Strain out tea and stir in sugar, then add in a handful of fresh mint. Let mint steep for 2 minutes. Top tea with 2 cups of cold water and ice. Chill until ready to serve. Serve in ice-filled glasses and garnish with a mint leaf. Somehow, I prefer Moroccan Mint Tea iced and with a bit of sugar. Adding fresh mint will definitely add freshness to it, can’t wait to try it! Hi Daniela, I like it both hot and cold but agree with you that the iced definitely tastes better with sugar! 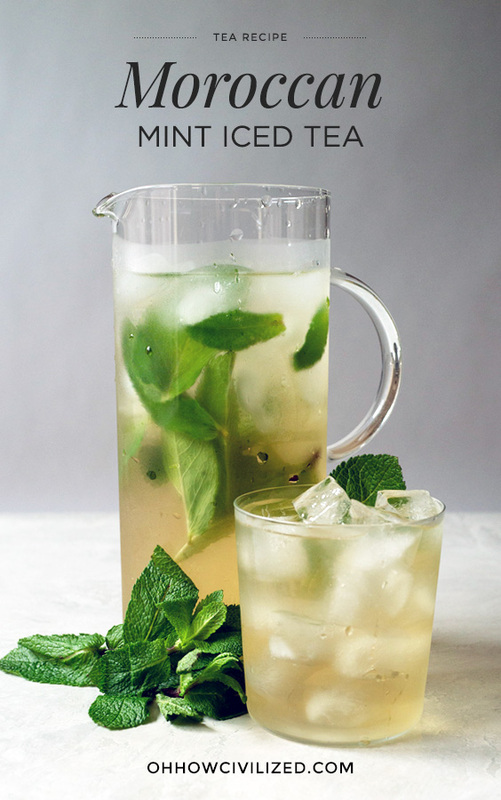 The fresh mint is the secret ingredient that makes it so special — enjoy! I forgot to plant mint in my garden plot this year. Must remedy this oversight ASAP. Fantastic photos as always! Hi Gee, oooh, fresh mint from the garden would be perfect for this!